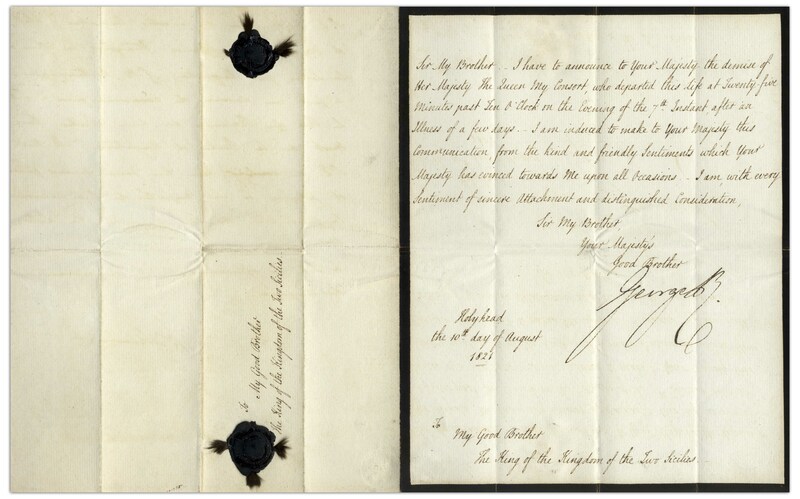 George IV letter signed as King of Great Britain. 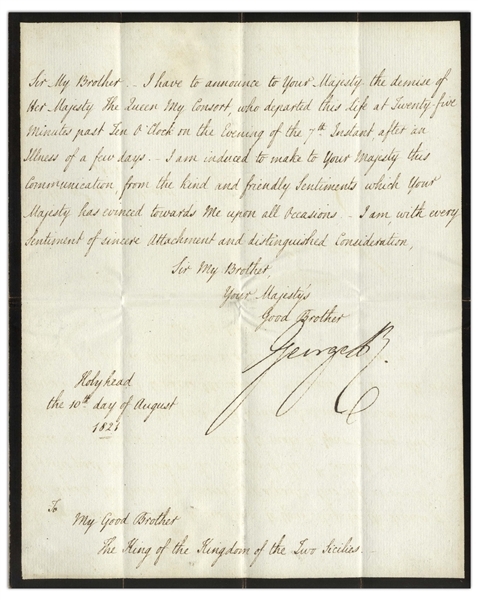 Writing on 10 August 1821 on black-bordered mourning stationery in Holyhead, George announces the death of his estranged wife to the King of Two Sicilies, Ferdinand I. George's wife, Caroline of Brunswick, had been enormously popular with the English people, in contrast to George who had several mistresses and children born out of wedlock. With two black wax Royal seals on verso. 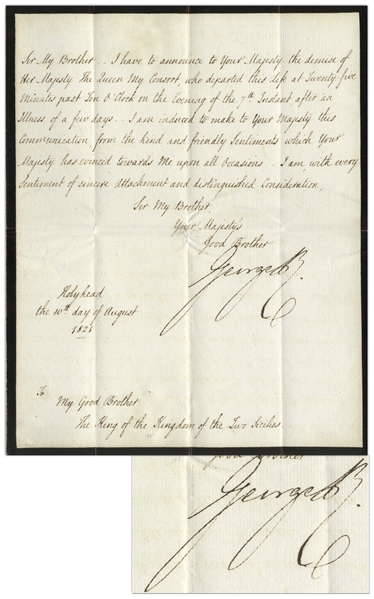 Single page letter on bifolium stationery measures 7.25'' x 9.25''. Folds, else near fine.